If you plan a roadtrip in Mountains of Adjara, if it’s an option choose traveling from Akhaltsike side through Beshumi resort rather than from Batumi. It’s just a different feeling to go down from mountains to the sea. Even though there are no summits, Mountains of Adjara and Guria is something different what you will not see anywhere, incredibly beautiful and exotic. Make sure you have at least 3 days, just passing by will not be enjoyable. Visit Vardzia from Tbilisi and some other sights, stay in Akhaltsikhe and start your journey. 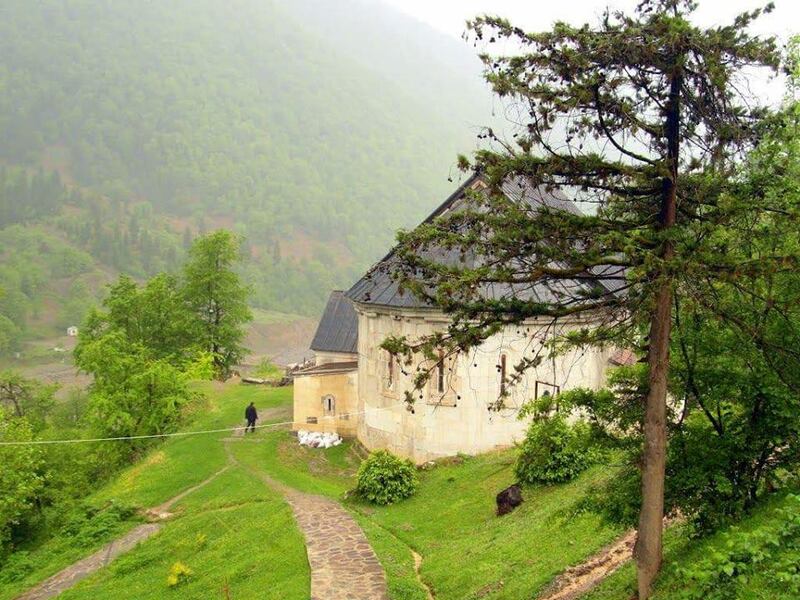 You can always visit Zarzma church which is on the way and then on the Goderdzi pass you can visit Beshumi resort and green lake which is just few hours hike. 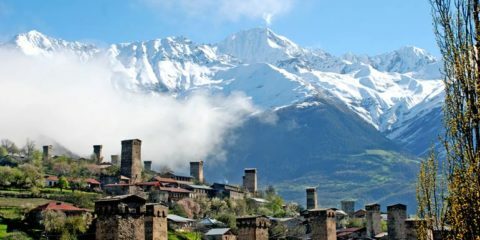 If you are hiker and have time, you could visit Adjara’s one of the main sites – Khikhani fortress from Beshumi too, otherwise you can do it from Khulo. Then camp below Goderdzi pass and resort, near spring where beekeepers sell their products or in any hospitable mountain village. The next night you will stay near Khulo or Skhalta, the third, maybe in Batumi, depends how much time you will want to allocate for mountain Adjara, but 3 days is enough for the sights of main road. Adjarians are really nice and hospitable people, there are many homestays, just ask, you will be delighted with their hospitality and their food. 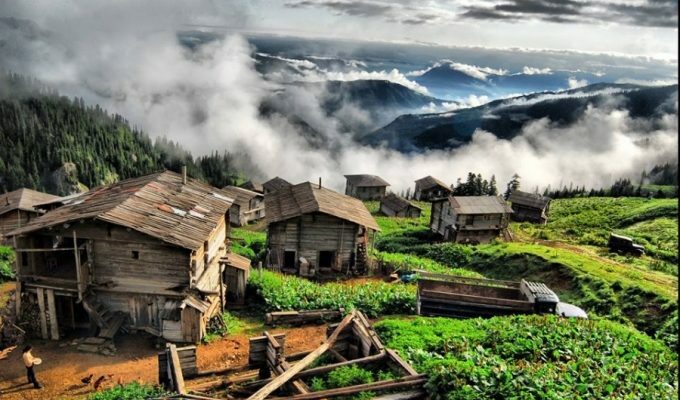 On the road from Beshumi to Khulo, you can find some interesting villages, some of it are on very high hills, some of those are summer settlements (Adjarians take cattle in summer) which are called Turkish word yayla, you will see Muslim mosques and hear Mullah calling everyone to pray. While majority of Georgians are Christian, most villages in Khulo have Muslim population. People were converted to Islam under Ottoman rule. 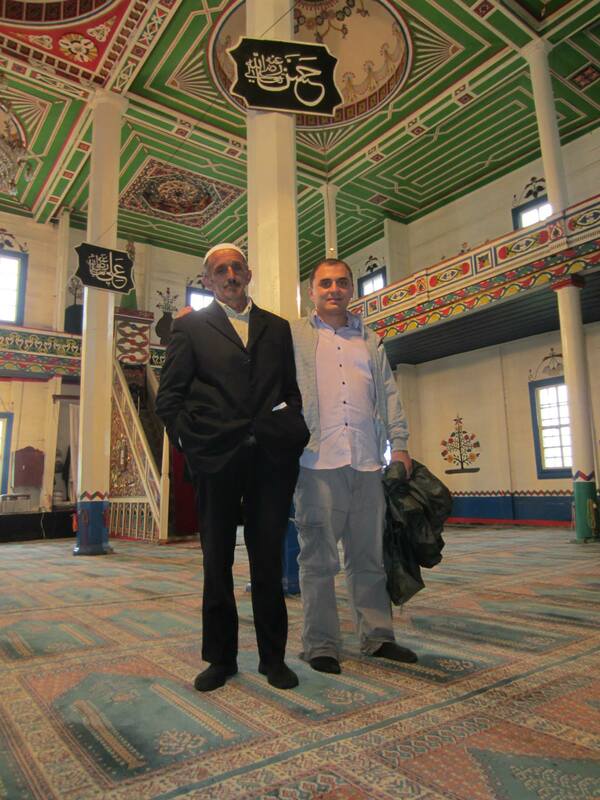 If you are interested in how Muslim Georgians live in mountain villages of Adjara you can follow my footsteps to Ghorjomi village. 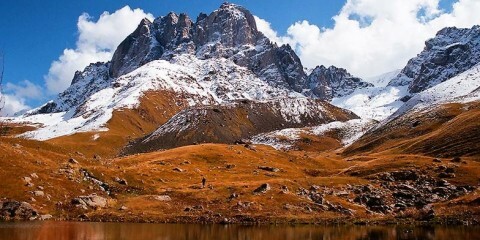 Ghorjomi (1350m) is 14km from Khulo and it takes around 1 hour from the main road. 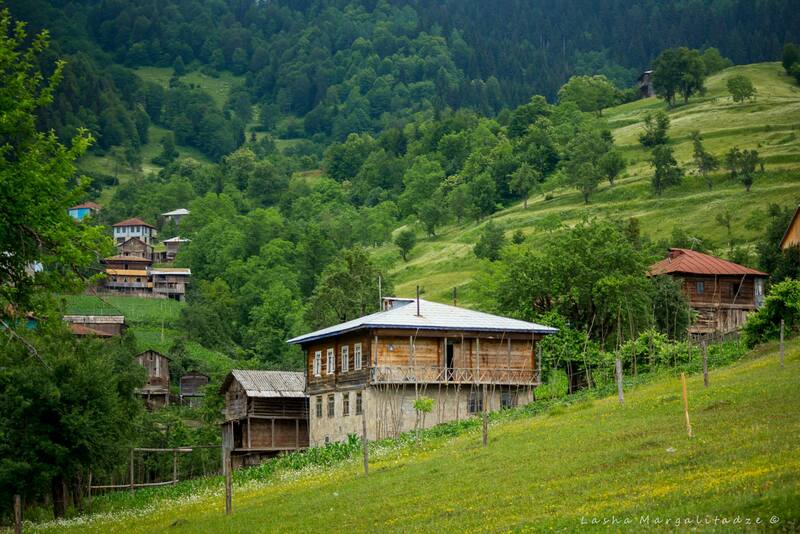 It’s one of the special and remote villages of Adjara. Mosque, built in 1902, with high minaret, hardworking women often with hijab who like to knit, already says that its Muslim village. But the hospitality and kindness I have seen here I will never forget. 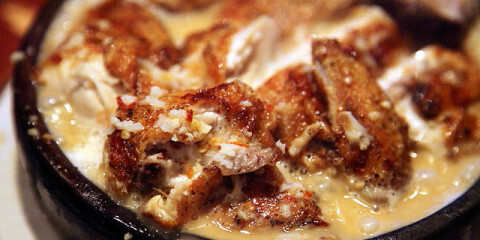 You can try local food – Adjarian borano, sour cream – Kaimaghi, drink their special coffee and learn how they live. They can even ride horses to Bakhmaro resort in Guria which is quite near (there is jeep trail between Ghorjomi and Bakhmaro) or guide you for this beautiful and panoramic trekking. 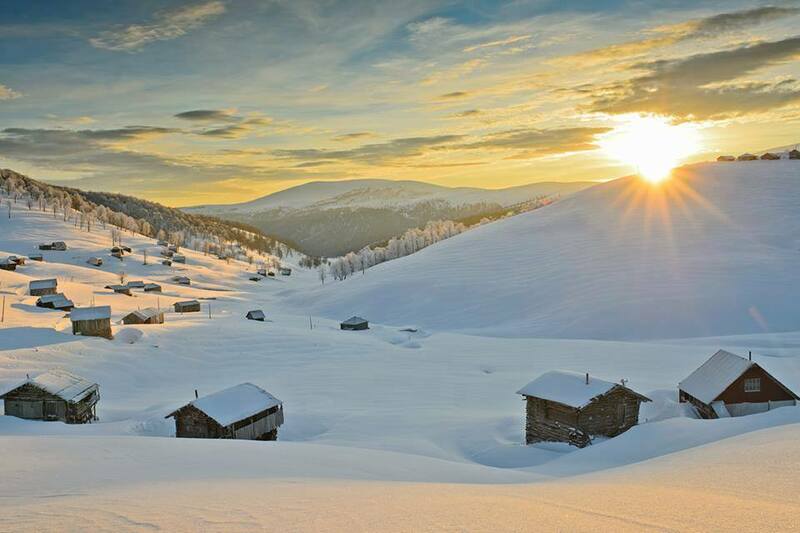 One of the main destinations is Khulo – cozy and small town which has a beautiful location overlooking the river gorge. It’s 80km from Batumi. 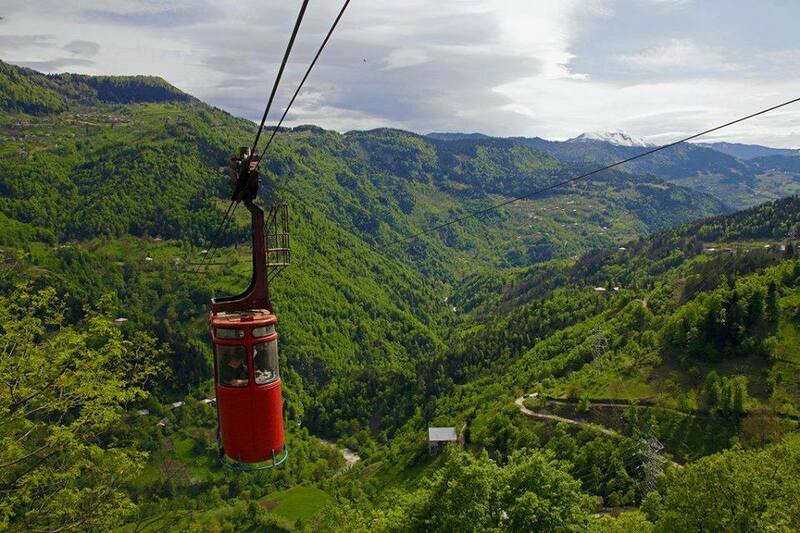 You will find some small hotels and restaurants in the town and the cable cars which will take you to the other slope of the river gorge, village Tago where you can sit and enjoy breathtaking views. The cable car stretches 1700 meter across and a ride takes 10 minutes. The cable car is used for daily means of transportation by the locals to Tago village and it costs 20 tetris per ride. 8km past Khulo, you will see tourist signs. You can go down for an old bridge which Georgians call it Queen Tamara bridge. Also there is a nice and recommended restaurant near that bridge. The road also goes to Skhalta Monastery and Khikhani fortress, another gorge in Mountain Adjara which is worth exploring. At least Skhalta Monastery which is 13th century church with nice and inspiring monks. Continuing the main road to Batumi you will see another old bridge on your left – Dandalo bridge. 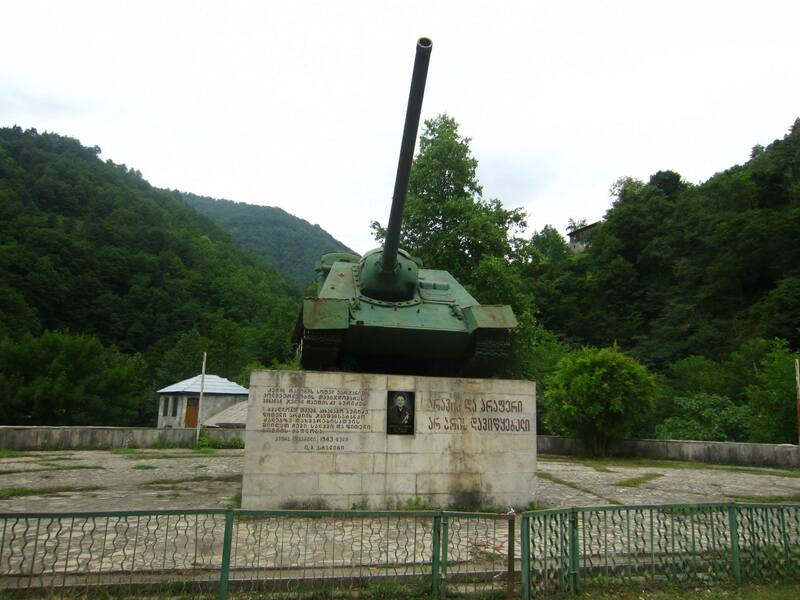 In village Varjanisi near the road you will find memorial of WW2. It´s a tank and it has quite interesting history. The villagers collected money to support the country fighting in the 2nd world war. After the war Stalin sent their tank back to the village as a sign of gratitude to the village. 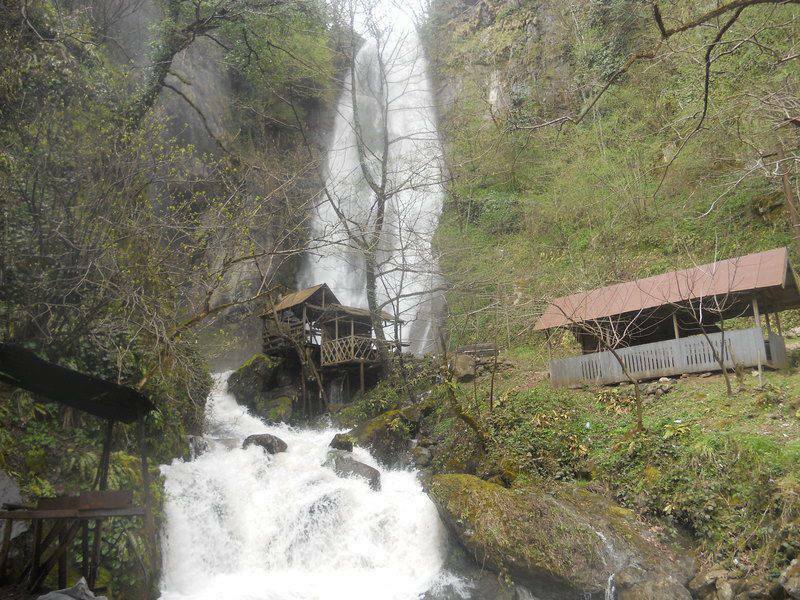 My favorite point on the road to Batumi is Makhuntseti waterfall.This is not very special waterfall but I really enjoy it, first of all it doesnt take too much energy to get there, its near the main road so if you are passing by you could pay a visit. Also there is a restaurant at waterfall. Besides, itś nice waterfall to take a natural shower. Thatś it, now if you are not interested in villages of Machakhela national park, You can head towards the black sea, walk in Batumi and swim. If you are interested to see more, you can reach the place on the cover photo: village Chirukhi. It can be reached by jeep/taxi from Shuakhevi. See it on the map, or you can hike from Goderdzi Pass-Beshumi-Khikhani fortress down to Chirukhi. It’s going to be interesting hike and will take few days. The best time to visit is from End May till October. 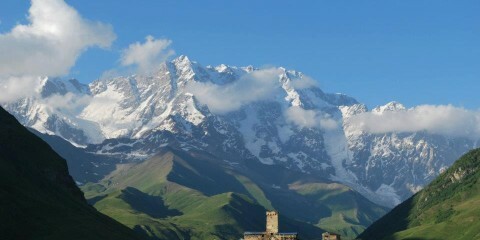 May and June might be rainy/foggy for places like Khikhani, Chirukhi, etc, but quite beautiful. Photos taken from Khulo fb page and Also special thanks to photographer Lasha Margalitadze. when is the pass road open for travel going from the Akhalsike side to Hulo and on to Batumi? This year there was little snow so it opened 2-3 days ago. Unless there are some problems on the road (landslide, flood) u can cross the pass, Call the road department hotline anyway 0322 31 30 76 from georgian number the day before anyway. Hello, very inspriring description of the trip. Thank you! 4wd if preferred.